A view of the airfield, a few years ago. Same view in July 2010. 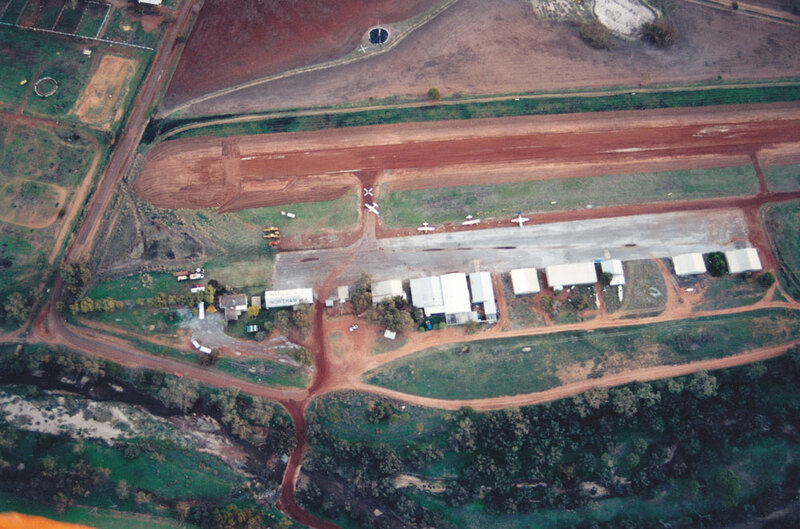 In 1971, the Aero Club and the Northam Town and Shire Councils purchased land on the edge of town for the Northam airport. While the Club paid for approximatively 50% of the purchase price, the title has been held jointly by the Town and Shire of Northam until amalgamation. Levelling of the proposed airstrip was well in hand by June, 1971. 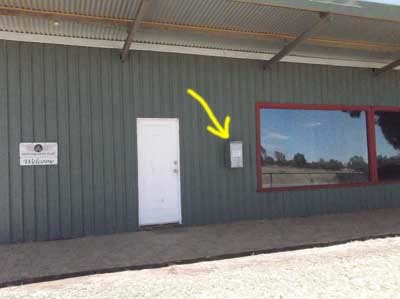 The Northam Aero Club originally held a twenty-one year lease from the Northam Town Council and the Northam Shire, which was renewed for a further twenty-one years in early 1991.Cropping and other fund raising was undertaken by the Club to meet the loan repayments of the land. The Northam Airport was officially opened by the Regional Director of the Department of Civil Aviation on the 14th November, 1971. A little over eight years later, airstrip lights were commissioned on the 12th April, 1980, and in 1984, the VHF automatic switching was commissioned. The Club designed and constructed the field in its present configuration. It remains a most valuable asset of regional infrastucture. The Northam Aero Club (NAC), the West Australian Balloon and Airship Club (WABAC) operate on the field. A maintenance organisation (Northam Air Services) and an agricultural operator (Taurus Aviation) are also located on the field, along with several privately owned aircraft. The airfield is used by training organisations as well as comuters. Regular seasonal operators by several services are accomodated at the airfield. These include RFDS, FESA, water bombers and control aircraft, power line washing, etc. The Northam Airfield has seen the start of many Aviation Records in balloons and in fixed wing aircraft. It was the starting and finishing point for Claude Meunier when he flew solo around the World in 1996 in his Aerostar VH-XRD. It had been chosen by Steve Fosset for his 4th solo attempt to fly around the World in a balloon. Steve Fossett used the Airfield again for his 5th attempt around the World. 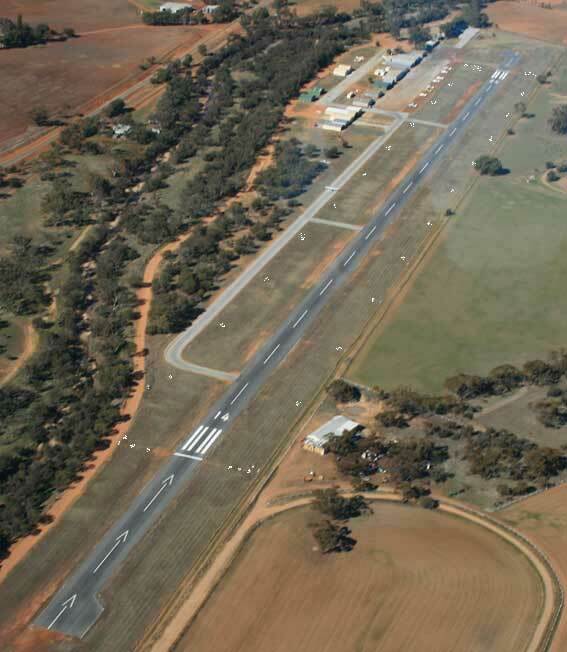 The Northam Aero Club have installed an aerodrome frequency response unit (AFRU). Control of Northam lights by pilots differs from the old system. Transmission at Northam will be acknowledged by "NORTHAM CTAF ". This will be replaced by a "BEEP BACK" if transmissions have been heard in the last five minutes. 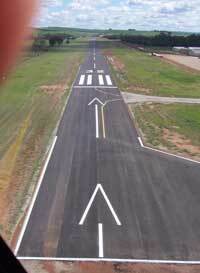 Runway lighting is inhibited during daylight hours by a light sensor. During darkness the lights can be brought up by transmitting on 124.2. (The old frequency 119.6 no longer used). - The sequence varies from the old lights. Three pulses between .25 sec. and 1.2 sec. are needed, which is much faster than the old system. "NORTHAM CTAF " will be repeated, followed by "LIGHTS ON" or "LIGHTS NOT ON". Hopefully "LIGHTS NOT ON" will never be heard. The 10 minute marker now flashes all four wind direction indicator lights (windsock lights) and thre will be an announcement:"LIGHTS 10 MINUTES REMAINING"
The Airfield, as it was a few years ago. Picture taken by an unknown photographer from an unknown flying device. Anyone remembering the date, please contact the Webmaster. Thank you.. The airfield during Fedor Konyuhkov World Flight Launching (July 2016).